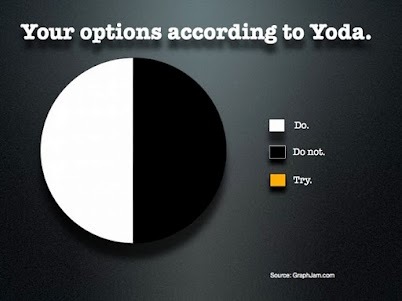 Your options according to Yoda: Do. Do not. There is no try.